I told myself it was too expensive, a fad, a cult, etc etc. But eventually, I caved to my own uncontrollable curiosity. I had to see what the fuss was about. I went to SoulCycle. In a quest to see how white I could be, I headed to Fashion Island in Newport Beach with my bestie Olivia, so we could swing by Nordstrom, hit up an expensive fitness class, grab fro-yo from Pressed Juicery, and have dinner at Whole Foods. I hope you haven’t closed this window. My biggest takeaway: The place. Smells. Like. HEAVEN. Like if scent were a sight, it would be comparable to seeing the face of God. This won’t be news to anyone who has been to SoulCycle, but apparently Jonathan Adler created a signature scent for this place. Of course. The ambiance is bright, white, clean, and positive. The music is loud and fun, and like I said, the smell is amazing – so you’re pretty captivated from the moment you walk through the door. I’m starting to get it. First ride is $20, but after that, every class is $30… a pretty hefty fee for a 45 minute class. And if you don’t have shoes, that’s another $3/class. I spin like twice a month so I don’t have shoes. Fortunately, they didn’t charge me. Woo! We went in, and Olivia helped me set up my bike, because I’m inept. Then it began. A girl around my age, who looked like a clone of one of my sorority sisters (bubbly, beautiful, fun, energized.. of course. It’s Fitness Barbie) took the stage, looking like a hybrid of rockstar/fitness icon, and the fitness rave began. It was fun. It was sweaty. It was exciting. It was…. a spin class. A quick forty-five minutes later, we were done. All in all, it was a great experience. I have zero complaints. The bathrooms were magical and I honestly really want to go back just to say I showered there. But can I afford to pay $30+/class (and drive to Newport weekly)? Nah, dude! I ain’t made of money! I guess I didn’t get addicted. However, I WILL return to SoulCycle as a treat class, or if I magically become rich in the somewhat near future! Fingers crossed for the latter. 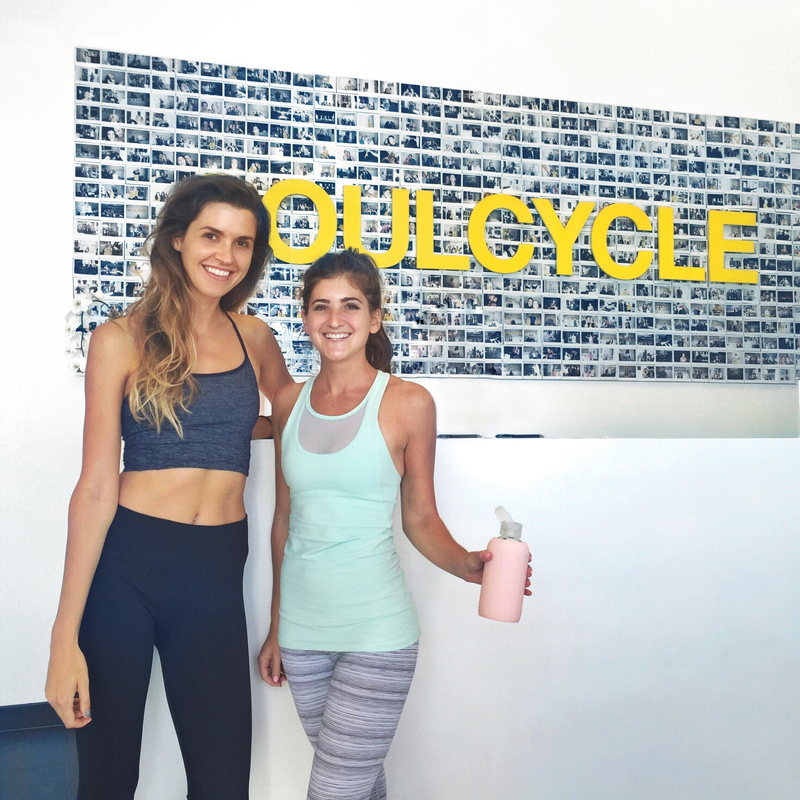 TL;DR: I recommend SoulCycle (for the occasional “treat” class): smells amazing, is expensive.